These days, online certification training helps you achieve your professional goals and increase your chances of advancement in a most affordable and convenient manner. This is very suitable if you have a busy schedule or find it difficult to attend a regular class. 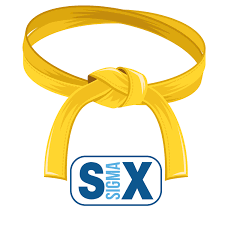 Six Sigma Online Yellow Belt training offers the student an overall insight into the techniques of Six Sigma, its metrics, and basic improvement methodologies. A Yellow Belt participates as a core team member or subject matter expert (SME) on a project or projects. Six Sigma Yellow Belt training provides an introduction to process management and the basic tools of Six Sigma. $199 Special Pricing for the Yellow Belt Training. What is included with the Online Six Sigma Yellow Belt Training? The Global Six Sigma online training program gives you 90 days of access to complete the 2 days of material. Internationally recognized Six Sigma Yellow Belt Training Certificate issued upon completion. Secure Manual, which may be printed once for your records. A computer with online access to the internet with a browser and Microsoft Windows. Display Settings of at least 1024 * 768 Screen Size. Access to Microsoft Office 2000 or newer.